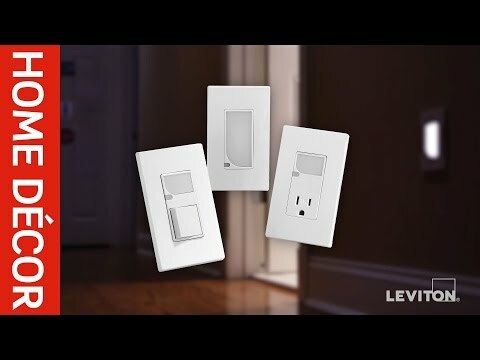 Leviton Decora® 2-Pole Impact-resistant straight blade duplex receptacle in ivory color, has voltage rating of 125-Volts and current rating of 15-Amps. 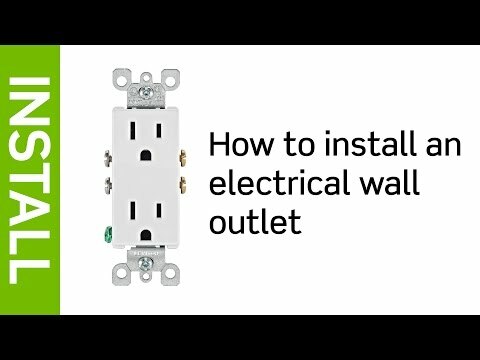 This 3-Wire receptacle has quickwire push-in and side-wired termination. Quickwire push-in terminals accept 14-AWG solid copper wire and terminal screws accept up to 12-AWG copper or copper clad wire. It has double-wipe power contact for optimal signal conductivity. 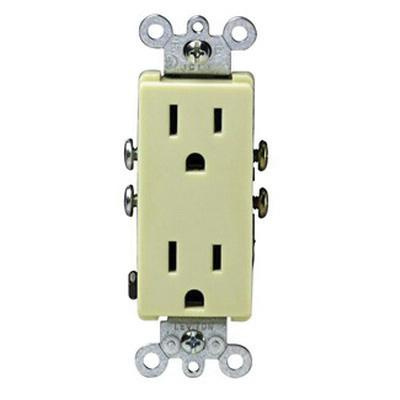 This grounding receptacle features thermoplastic body and face. Break-off plaster ears ensure best flush alignment. It measures 4.06-Inch x 1.312-Inch x 1.142-Inch. It withstands temperature rating of -40 to 60 deg C. This residential grade receptacle comes with shallow depth for maximum wiring room. It features heavy gauge zinc-plated steel strap and triple-drive brass size 10 - 32 screws for making mounting easier. It has NEMA 5-15R for added safety. Receptacle is UL listed and NOM/CSA certified.